“There is no such thing as information overload, only filter failure”, stated Clay Shirky during a presentation at the Web 2.0 Expo in September 2008. Personal: being able to take advantage of all the tools out there to manage your day. Professional: seizing these opportunities to futher yourself as a journalist. First things first… ORGANIZE YOUR E-MAIL. David Allen, author of Getting Things Done, suggests spending no more than two minutes on every e-mail. If you’re able to reply in two minutes, then do it, otherwise save it for later. Finding the right Web sites for you will go a long way in organizing your digital lifestyle. According to Briggs, there are many things to be managed: e-mail, contacts, to-do lists, calendars, notes, word processing, spreadsheets, presentations, images, databases, project management, Web or graphic design, and collaboration with colleagues. Instapaper: Saves Web sites to read later. Rememeber The Milk: For to-do and task lists. Oh don’t forget: Reminders sent to cell phones. Evernote: To-do lists and note taking, can use audio with your cell phone. Jott: Audio to-do lists and note taking with your cell phone. Dropbox: Stores files/documents to be accessed anywhere. Backpack: Information organizing, calendar, task lists, document sharing, etc. Socrata: Create databases from spreadsheets or from scratch. So what can one do with all of this digital information? According to Briggs, every story is a field of data. Any story can then be broken down into separate field for analyzing purposes. Share the data: API, or application program interface, has allowed people to tap into other Web sites data and information. New organizations can open up its content through APIs which has two important developments: technical and political. Spreadsheets and Databases: Briggs suggests starting with spreadsheets to organize information then move it into a database. These two tools are very helpful in organizing information. One can then use databases and maps to tell stories and produce more information for an audience. Data, data, data, and more data. Keeping oneself organized is the golden ticket. Some things just can’t be expressed with words. That’s where the POWER of videos comes in. First thing to know about making videos to tell one’s story is that perfection is not necessary. A video’s authenticity and behind the scenes feel, can go much further sometimes than a “perfectly” edited video. Use different approaches depending on the project. Tapes and batteries: Make sure you have enough power and space. Microphones: Built-in mic for natural/environmental sound, wireless-mic for interviews and shotgun mic to get conversations among several people. Tripod: There’s nothing better than a steady shot to produce a professional video. Headphones: Listen while you shoot to make sure the audio is good. Lighting: Powerful lighting produces a powerful video. Define your story in the first 20 seconds; make sure to HOOK your audience. There must be a beginning, middle and end. Don’t let your viewers get bored! Short clips are the way to go. Focus on only ONE central idea and stay with that ONE idea. Characters are what make your stories. Better characters = better story. Final thing is to publish your video online. Posting it on your own website is great, but viral video distribution is that way to go. Freelance multimedia journalist Angela Grant recommends using TubeMogul that will automatically upload your video to 20 different video-sharing sites, including YouTube. Bottom line: Shoot, shoot and shoot some more. According to Briggs, journalism now means 1) managing online communities as well as 2) participating in various social networks. Audiences being able to comment on stories online and voice their opinions is not only a way to stay technologically savvy, but it gives the journalist more to work with. Make news participatory: interactivity by contributing photos, video, event listings, edits, message board posts, blog posts, votes and recommendations and promotions. Journalists must get involved:evangelizing the brand, soliciting the content, moderating comments, solving user problems, running contests, etc. Develop sources through social networks: finding sources through Facebook, MySpace, Linkedln, etc. Collaborate with your community: collaborating with your competitors and fellow journalists to get the best information out there for your audience. Audio journalism, very simply and obviously put, is getting journalism out through the means of audio. Audio allows the listener to use their mind to paint their own picture of the situation. It’s a more personal experience and audio journalists can create an intimate relationship with the listener. Finding a way to connect with them. Presence: Bring your readers to the story. Emotions: Pauses, tone of voice, expressions can enhance the message. Atmosphere: Natural sounds of life. These three things alone can produce a personal perception of any given event. Reporter overview: Audio overviews in addition to one’s article. Podcasts: Frequent episodes on a particular topic. Audio slideshows: Makes pictures richer and more telling. Breaking news: Publish quick audio soundbites immediately. Recording interviews: chose your location, gather natural sound, prepare your subject, watch what you say, try delayed recording, and mark the best spots. 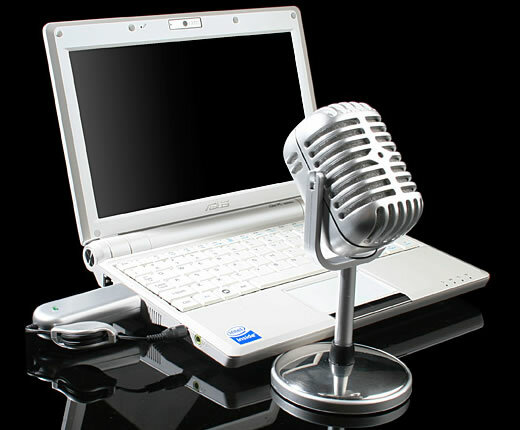 Doing voice-overs: write a script, warm up, find operative words, and keep it conversational. Audio editing is a huge component to the audio process. Two FREE audio-editing programs are Audacity and JetAudio. Audio journalism is a very important tool to every journalism and is showing a lot of promise. Therefore, get your audio on! Theme: Cutline by Chris Pearson. Powered by WordPress MU.